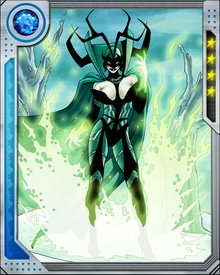 Hela rules the two realms of the dead, Hel and Niflheim. She hungers to add to her realms, however, and particularly wants to rule Asgard. For millennia she has attempted without success to take it over, though her army of the dead stands ready to march should she ever find a way to lead them out of her realms.